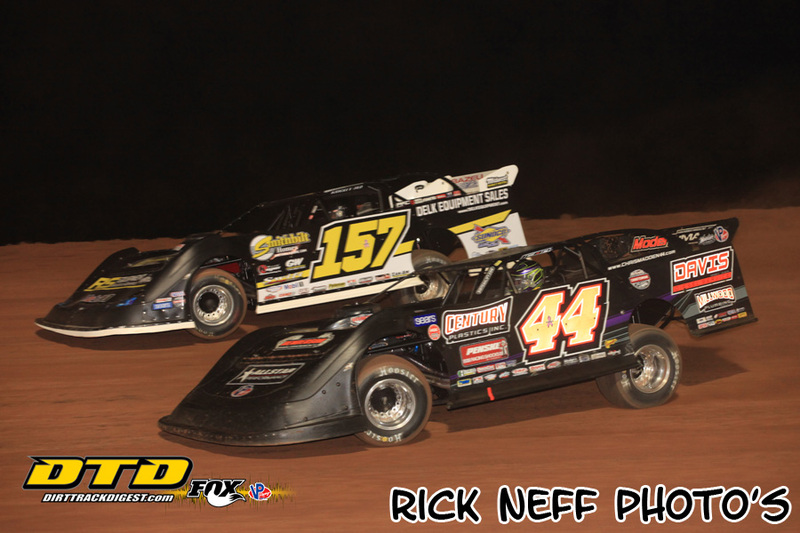 SARVER, PA – Chris Madden collected his third World of Outlaws Craftsman® Late Model Series win of the 2018 season during the first of three nights for the Firecracker 100 at Lernerville Speedway. With this victory, Madden slightly widens his lead over Mike Marlar by 8 points and 36 points over Brandon Sheppard in the point standings. Headed into the event, Madden and Marlar were separated by a slim two points, which is just a one position difference in the feature. Marlar led the first 10 laps of the main event but never widened his lead more than half of a second over an elbows-up Madden. On lap 10, coming out of turns three and four, Madden threw a slide job positioning himself in front of Marlar who nearly fell off of the cushion. Madden commanded the lead on lap 11 of the 30-lap event never to surrender the top spot again. Following Marlar’s shift up the banking, Sheppard and Shane Clanton began to seriously challenge him for the second spot. The New Berlin, IL driver of the Rocket1 Racing machine capitalized on the mistake, leaving Marlar and Clanton to run door-to-door while he shifted his focus to the race leader. Despite a late race charge with two laps to go, Sheppard finished 0.381 seconds short of victory. Marlar settled for a third-place finish after collecting the PFC Brakes Fast Time Award, claiming his heat win and starting on the pole of the 30-lap shootout. Clanton, who was battling up front the entire feature, retired on lap 24 as he was chasing down Marlar. He swiftly pulled into the pits with axle damage.